If you are facing challenging legal issues such as divorce or family law matters, criminal charges, serious personal injury, real estate issues, corporate matters or any other type of legal issue, you deserve representation that has the skill and experience to secure the best possible outcome for you. Hopkins Heltzel Law Firm, in DuBois, Pennsylvania, has almost 50 years of combined experience working to help our clients. Attorney David Hopkins began practicing law in 1984. He built a successful practice that was focused on serving the needs of a wide range of clients with a diverse set of issues. He built a record of success that includes having secured millions of dollars for his clients, among other positive results. Looking to expand his practice to include family law, he brought in attorney Lee Ann Heltzel in 1999, and in 2004, Hopkins Heltzel Law Firm was founded. Together, David Hopkins and Lee Ann Heltzel have 49 years of experience that they can rely on to help guide them as they build the highly effective cases people deserve. Those decades of experience have helped them hone their skills as litigators. They are effective trial advocates who know how to identify the most efficient means of helping you get the best outcome. 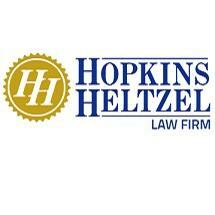 When difficult legal matters are pressing, turn to Hopkins Heltzel Law Firm. To schedule a free initial consultation, call 814-299-5496.